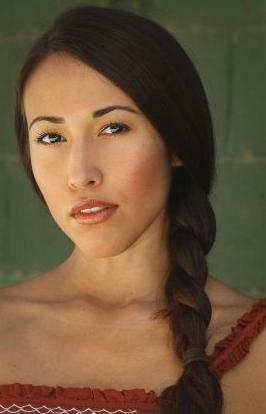 Marisa Quintanilla (Huilen in 'Breaking Dawn') talks about working with Rob & Kristen! 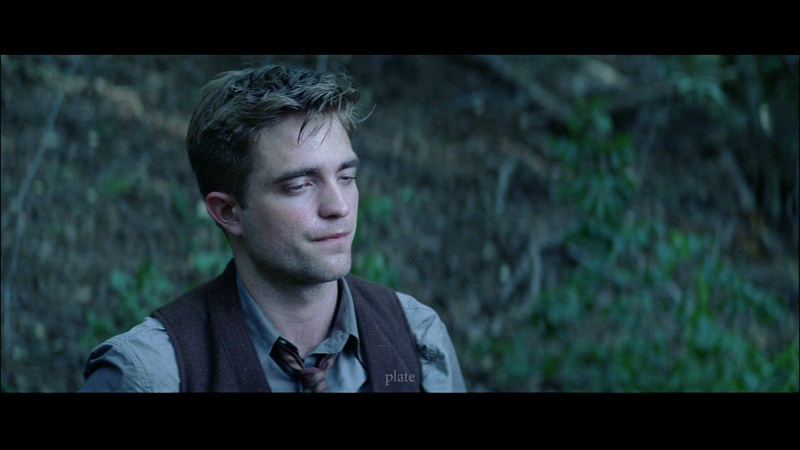 New "Water For Elephants" Still with Rob! Old "Water for Elephants" still with Rob & Reese now in HQ! Italian WFE Blu-Ray & DVD release date: September 13th. More info here! "Water for Elephants" US DVD Release Date: November 1st, 2011! "Water for Elephants" UK DVD/Blu-Ray Trailer! 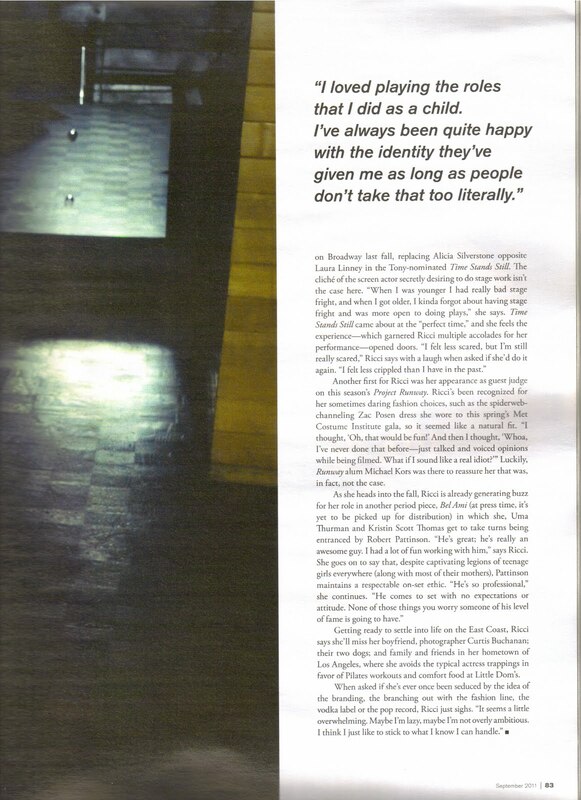 Christina Ricci talks about working with Rob in a new interview with Modern Luxury Dallas! As she heads into the fall, Ricci is already generating buzz for her role in another period piece, Bel Ami (at press time, it's yet to be picked up for distribution) in which she, Uma Thurman and Kristin Scott Thomas get to take turns being entranced by Robert Pattinson. "He's great; he's really an awesome guy. I had a lot of fun working with him," says Ricci. She goes to say that, despite captivating legions of teenage girls everywhere (along with most of their mothers), Pattinson maintains a respectable on-set ethic. "He's so professional," she continues. "He comes to set with no expectations or attitude. None of those things you worry someone of his level of fame is going to have." New\Old Videos of Rob & Kristen filming "Breaking Dawn" in Lapa! Latest official production info on "Unbound Captives"! August 13, 2011-Saturday. "He's attached. That means if and when they make it, he's informally committed to be in it. First reported 09. I spoke to the producer Thursday. Rob is still attached to the project. Now financing has to come together." MyAnna Buring on why she thinks Rob is the most adored male movie star on the planet! MyAnna Buring playsTanya in "Breaking Dawn"! Taylor Lautner talks about Rob's MMAs kiss at the VMAs: "I was definitely kissed by Rob"! New "Water For Elephants" Stills! Rob’s shirt from "Water for Elephants" being auctioned for charity! 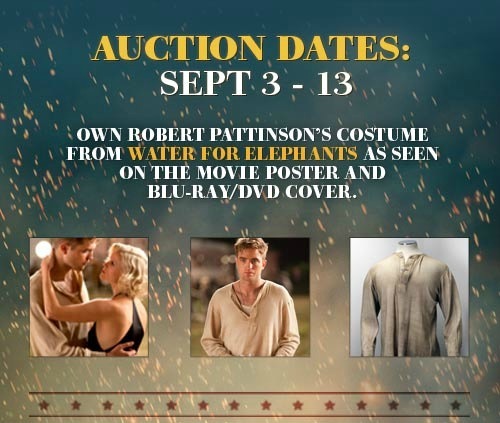 The auction is being held from the Official UK Water for Elephants page on facebook. 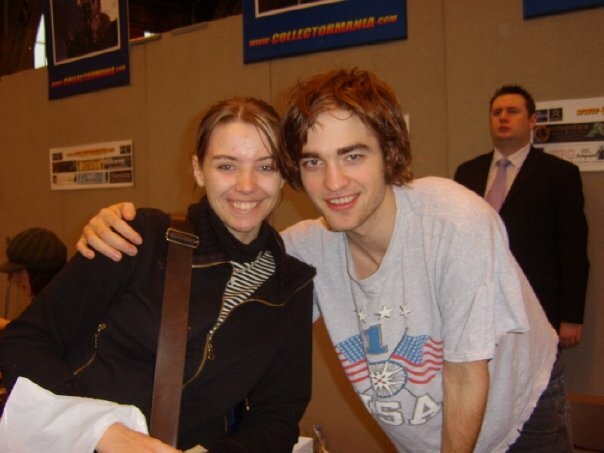 New/Old Fan Pics of Rob from 2006/2008/2010/2011! Rob's mentions on "Water For Elephants" DVD commentary! They were all crying off camera during Hal’s scene because his wife had passed away just months before and that broke their hearts. Initially they wanted Hal to do all the voice over but then thought it would distance from the character and decided to try Rob’s voice and really liked the result. The moment with the girl at the college was a in between takes moment. She was so nervous around Rob that they tricked her. She was actually flirting with Rob off camera. They say Rob has a method to start sweating and go all pale but they won’t reveal. Rob’s mom in the movie also acted as his Polish coach. And the father lied in the audition. He was not Polish, he was Russian! Rob did his own stunt running alongside the track and catching the train. Francis was really nervous because if something got wrong it could be really awful. Rob learned a Polish song that he sung in the forest but they cut that part out. He picked up the Polish really quick. He didn’t need much practice to sound convincing. They changed the landscape digitally they took out the California mountains to add the little town that the circus is supposed to be. Rodrigo put a light too close to the tent that it set the tent on fire. They all had to evacuate the tent. They didn’t use a orangutan because PETA didn’t let them use any monkeys. So he thinks the giraffe scene it’s a substitute for that. The black horses were fighting each other all the time. They couldn’t put them next to each other on the scene or hell would break loose. 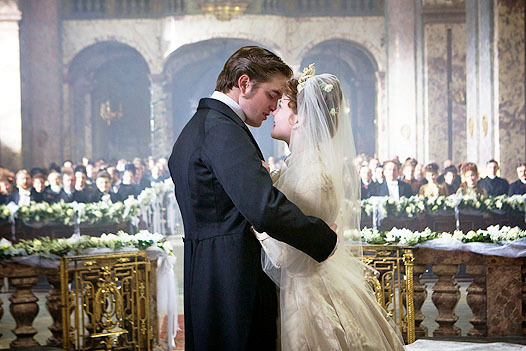 Christina Ricci talks about Rob & Bel Ami with Collider! 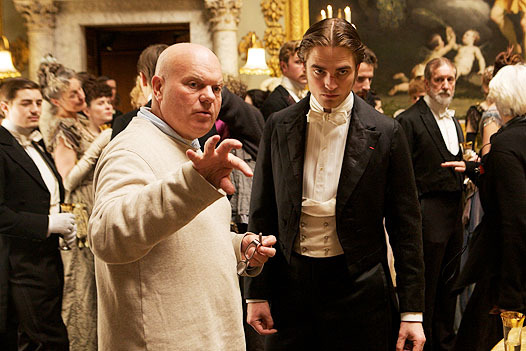 What was it like to be seduced by Robert Pattinson for Bel Ami? RICCI: Oh, he’s absolutely lovely! He’s great in the movie. It’s a very different role for him. It’s classic Guy de Maupassant. It’s very interesting, grittier material. It’s really good. 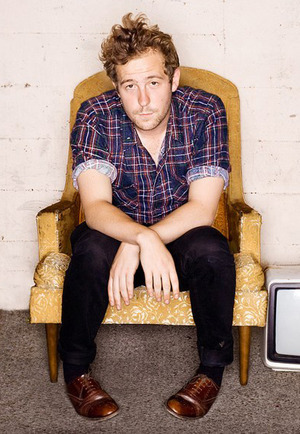 Marcus Foster talks about Rob singing "I Was Broken" & Jeff Buckley's film! At 1:00 he talks about Jeff Buckley's film & he says his friend (Rob) was supposed to be playing him. At 1:30 he says that he & Rob used to sing each other's song & he talks about "I was broken"! 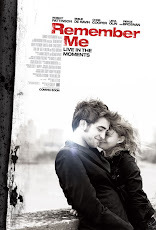 Rob & Kristen talk about "Breaking Dawn" with the Chicago Sun Times (Fall Movie Preview)! Rob stopped by "Norman's Rare Guitars" yesterday! Thanks Robert Pattinson for stopping by Norman's Rare Guitars yesterday!!! The russian site has also the still below with Uma & Rob that we have already seen. Andrea Gabriel (Kebi in "Breaking Dawn") talks about Rob & Kristen! 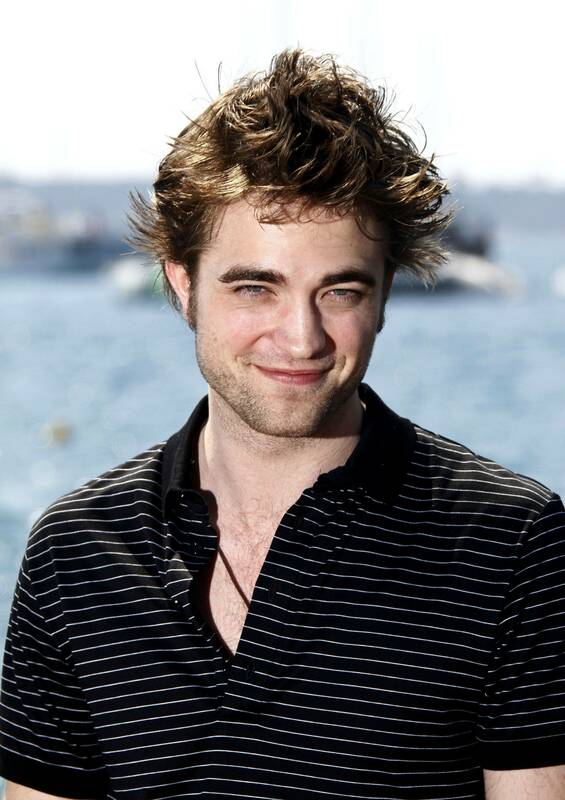 New & Old HQ & untagged pics of Rob at Cannes 2009! Video from the 'Water For Elephants' DVD Bonus-"Robert Pattinson Spotlight"! *NEW* HD "Water For Elephants" screencaps from the 'Behind the Scenes' Blu-Ray\DVD Bonus! Jack Morrissey tweets info about Rob playing "Renesmee's lullaby" in 'Breaking Dawn' Part 2! Rob actually picked it up really quickly. ...on the piano, with his daughter beside him obviously. Taylor Lautner mentions Rob at his "Abduction" movie premiere in Sydney! 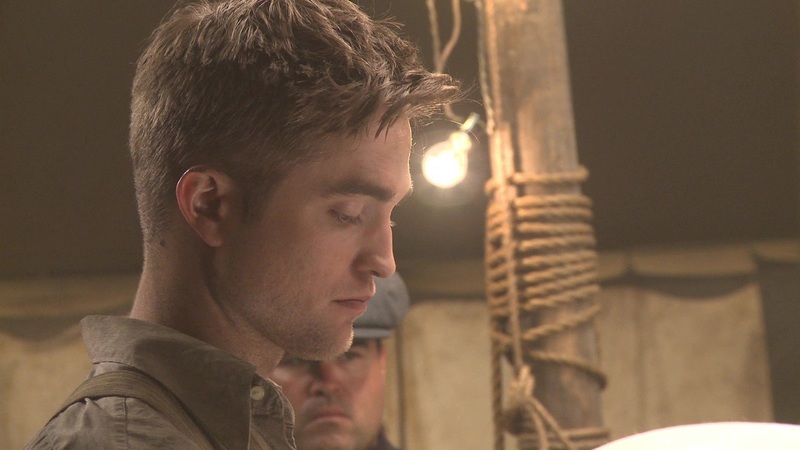 New Stills & BTS Pics of Rob from 'Water For Elephants' DVD! "Breaking Dawn" Part 1 premiere to take place at the Nokia Theatre L.A. on November 14! 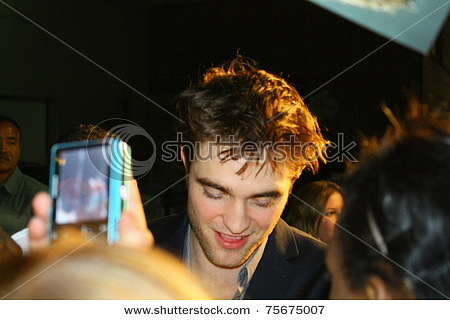 New Fan Pics Of Rob at Comic-Con 2011!